Description: News of Eddard Stark’s arrest for treason has spread to Castle Black, where Jon Snow, now a member of the Night’s Watch, finds that the onus of bastardy is nothing compared to being the son of an accused traitor. But that is the least of his problems. For the frozen corpses of two rangers, brought back for examination, prove lively enough to commit murder. Meanwhile, in Winterfell, Robb Stark calls his bannermen and marches south . . . though the wildling woman Osha argues that the real fight lies to the north, against the mysterious Others. But with Eddard and Sansa held hostage, Robb knows that only victory on the battlefield can save them. And so, together with his mother, Lady Catelyn, Robb prepares an audacious roll of the dice. Description: The conflict between the Klingon and Romulan Empires erupts, with Captain Kirk and the crew of the Enterprise trapped in the middle! Don’t miss the newest chapter of the ongoing series overseen by Star Trek Into Darkness writer/producer Roberto Orci! Description: Cartoon Network’s hit animated series is back at IDW! The legendary samurai known only as “Jack” is stranded in a strange future ruled by the demonic wizard, Aku. His quest to return back to the past has tested him many times, but now the stakes are higher than ever. Can an ancient relic known as the Rope of Eons finally take him home? Writer Jim Zub (Skullkickers, Street Fighter) and artist Andy Suriano (Character Designer on the original Samurai Jack TV series) begin a new era of samurai adventure! After the shocking events of the season one finale, Oliver reflects on the regrets of his past . . . and his course of action for the future. 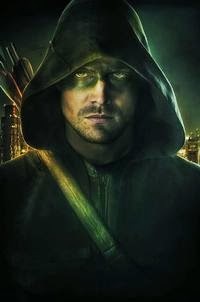 Plus, when a pilot gets in deep with the wrong kind of people, the Starling City vigilante becomes an unlikely ally in the fight to save his family. Description: Captain Jean-Luc Picard and the crew of the USS Enterprise have joined forces with the Doctor and his companions to combat an unholy alliance between the Federation’s most terrifying enemy and one of the Doctor’s greatest antagonists. But once the Cybermen turn on their Borg allies, the Doctor and Picard find themselves at odds over how to proceed against the threat, with the fate of the universe hanging in the balance! Description: After too many years of running MomCorp without a soul, it’s finally Mom’s heart that is beginning to fail. But what is a multi-millionaire magnate supposed to do when her cryogenically frozen, designated organ donor is defrosted and delivering packages across the galaxy as part of the Planet Express crew?